Open regular hours all other holidays, including: Martin Luther King Jr. Day, Presidents' Day, Memorial Day, Independence Day, Labor Day, Veteran's Day, New Year's Eve, and New Year's Day. Northbound lanes of I-5 through Seattle will be restricted for resurfacing on six weekends this spring and summer. Learn more at Washington State Department of Transportation. 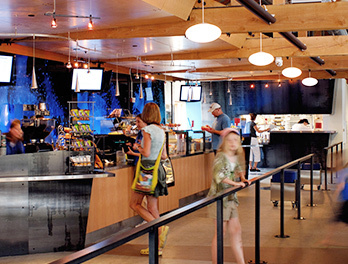 Take a delicious break at the Aquarium café. You'll find options for everyone, from little ones to those with more sophisticated palates. 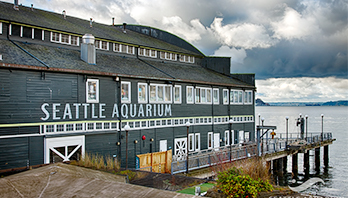 An outdoor balcony with a stunning view of Elliott Bay is the perfect place to relax on nice days. 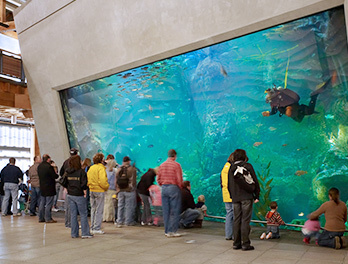 Take a bit of the Aquarium home with you! 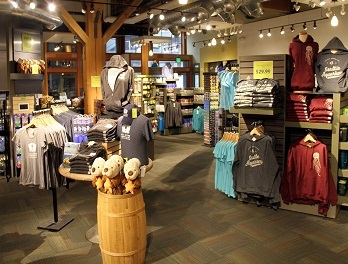 Browse our thoughtful collection of educational books, plush sea creatures, fun toys, apparel for the entire family, art glass pieces, jewelry, home décor, souvenirs and more. 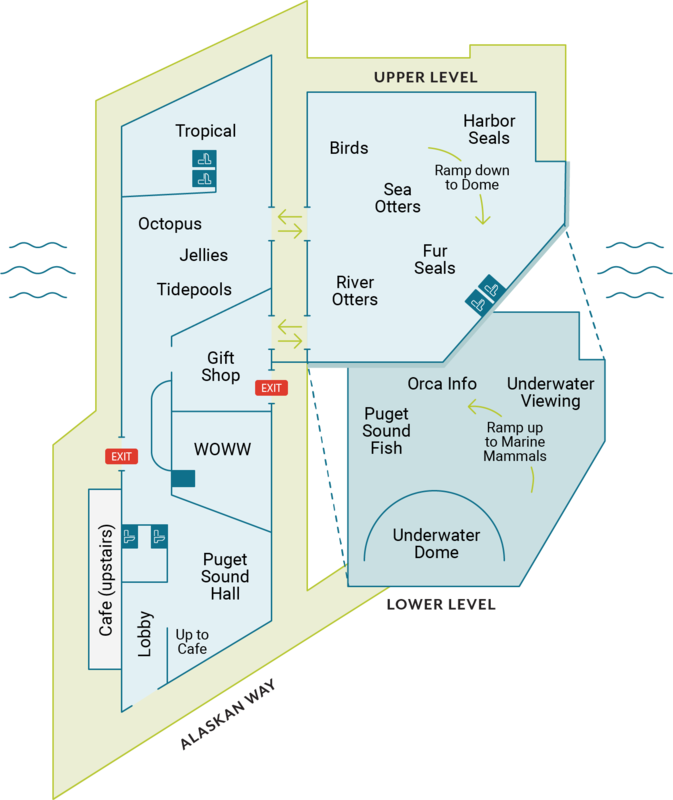 Seattle Aquarium exhibits and restrooms are wheelchair accessible. If you need a wheelchair you can check one out, free of charge, from the Guest Services desk (available on a first come, first serve basis). 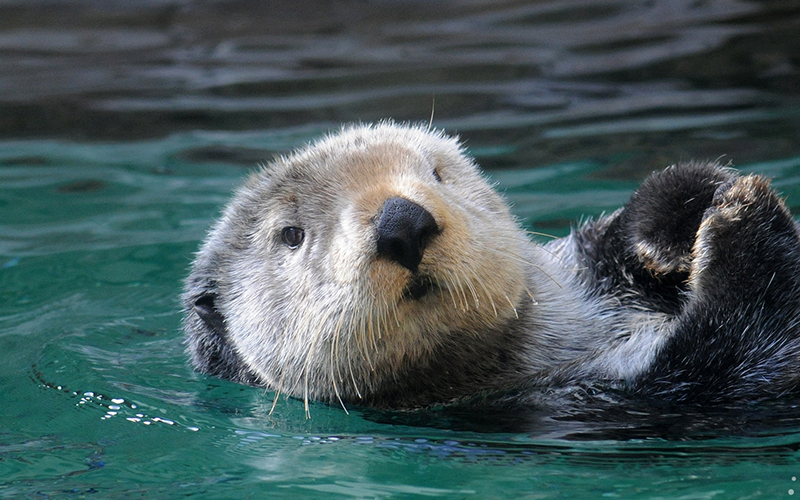 Discover what you can see at the Aquarium.